Let’s keep music alive. 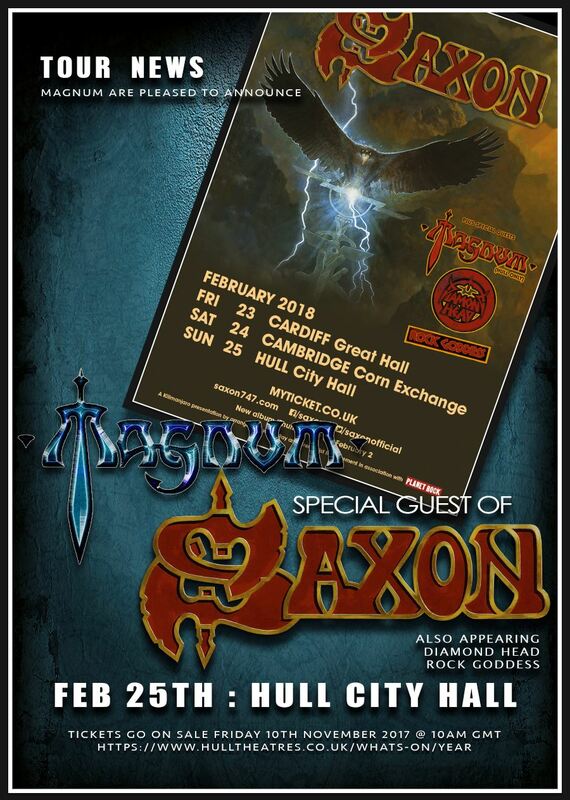 There have been many posts on social media about venues shutting down and sparse audiences for many live gigs but, if Magnum’s gig as guests of Saxon at Hull City Hall last Sunday is anything to go by then the older generation are happy to go out and support live music in their hundreds (if not thousands!). Now I was there on a press pass to review the Magnum gig so you’ll not hear too much about the other artists here but, suffice to say, it was varied enough to suit all rock music tastes and while Rock Goddess sounded good from the bar (I was in the bar, not the band), Diamond Head were consummate performers with a drummer who was a dead ringer for Matt Sorum of Guns n’ Roses fame. However the vocalist just didn’t gel for me, not to say he didn’t have a good voice, it just wasn’t one for me. 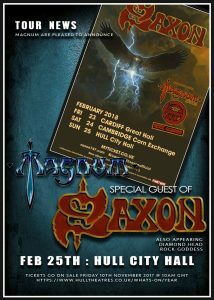 As for Saxon well, they put on a hell of a show, a very LOUD show which the packed crowd absolutely loved. There was a bit of argy bargy in the mosh pit at the front but a few well aimed expletives from a resplendently attired Biff Byford soon calmed that down. What a voice he has got too, you’d never guess he was nearly 70, he hit every note with power and glory. For me it was a shame that new material from ‘Thunderbolt’ just seemed to blend into one but the classic tracks like 747 (Strangers In The Night) actually threatened to bring the house down! 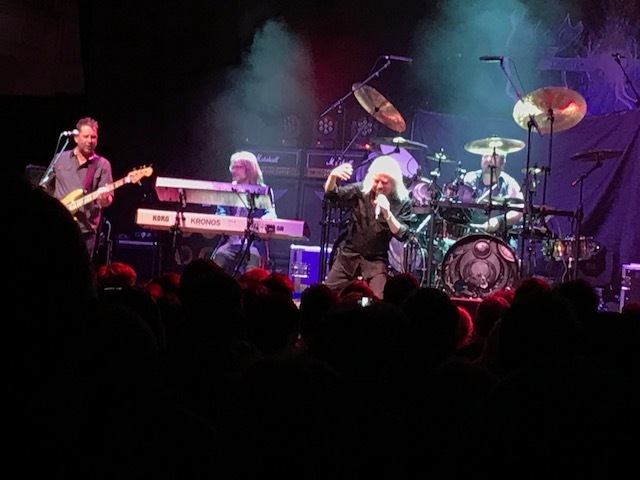 For me Magnum were the definite highlight of the evening and put on one hell of a live show, Bob Catley wanders the stage like your favourite uncle nowadays but, boy, does he still have one hell of a voice. 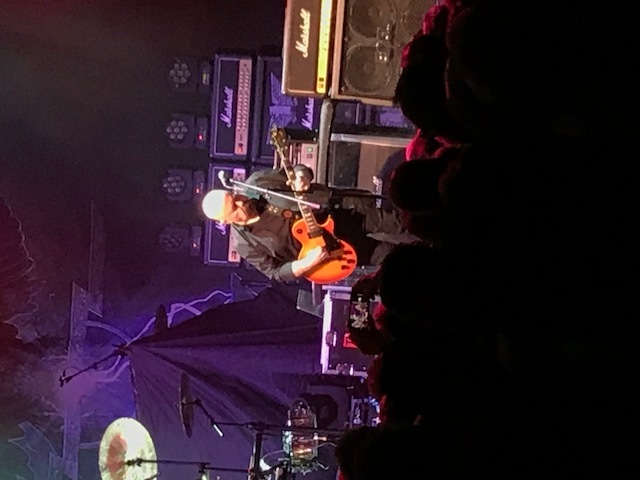 Opening the set with crowd pleaser When We Were Younger from ‘Princess Alice and the Broken Arrow’, the band never hit a duff note and silent assassin Tony Clarkin showed just what a genius he is on the guitar, orchestrating the band’s every move with precision. A powerful version of Sacred Blood, Divine Lies (from the album of the same name) had the crowd in rapture as Bob’s partner in crime Al Barrow provided a bassline powerful enough to knock over mountains. It has to be said that Hull City Hall doesn’t have the best acoustics but the guys were on top form so it hardly seemed to matter, Tony firing off a wicked solo and the applause threatening to drown out the sound. 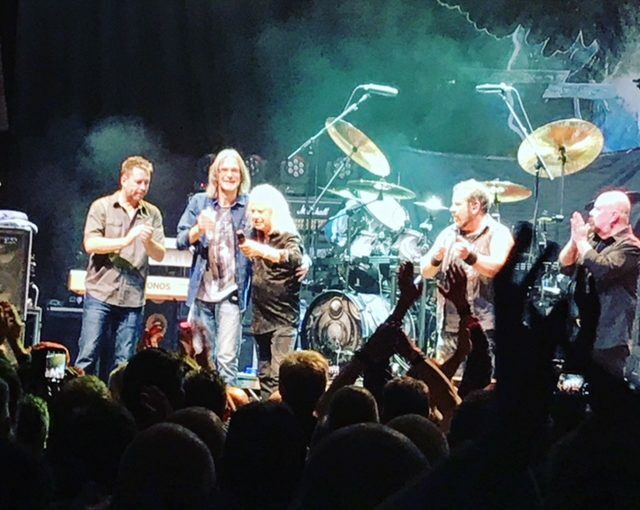 Next came the first (and title) track from the new album and Rick Benton’s first chance to really shine on the keyboards, I have a feeling Lost on the Road to Eternity is going to become a firm fan favourite at live gigs and seemed to fit the setlist perfectly. A wild rock ride with Bob leading the way, there were middle-aged (and older) people rocking away in front of me and it was great to see more than a smattering of young faces joining the fun. The slow burning intro of Crazy Old Mothers ramps up the anticipation of this anthemic track. Bob had the crowd in the palm of his hand on the emotive verse before Lee Morris leads in the mighty chorus with his thunderous drums. A song and atmosphere that just had you riding the crest of a wave with a ridiculous grin on your face. We return to the new album for the balls out rocker Peaches and Cream with Tony’s hard rocking riffing and the energetic drumming from Lee leading the way. It’s hard to believe Bob and Tony are both over 70 as they can rock with the rest of them and, boy, can they write a banging tune! The crowd are starting to jump and wave in the air and the energy can be felt throughout the hall, Mr Catley still has huge lungs, his vocal power is amazing and his voice has lost none of its whiskey soaked edge. We head back to the 1980’s and the wonderfully evocative Les Mortes Dansant from the band’s classic album ‘On A Storyteller’s Night’ and what a spine tingling version it is, Bob’s voice and Rick’s keyboards have the hairs on the back of your neck rising. I’m surprised there were no lighters lifted up (or is it iPhones nowadays?). An emotional and truly stirring rendition with a compelling vocal and mighty guitar, wonderful stuff! The new album has some excellent rock standards on it, as well as the already played Peaches and Cream there’s the excellent Show Me Your Hands where guitar and keyboard lead us on a rollercoaster ride of hard rock and Bob has virtually the whole audience raising their hands and swinging them from side to side. I swear the applause, cheering and whistling gets louder after each song. Another classic from On A Storyteller’s Night’ follows and it’s a track I’ve not heard much, the hard rocking All England’s Eyes is accorded a great welcome from the knowledgeable crowd and the band proceed to give us a dynamic and forceful version of the song that, once again, has us all dancing and singing along. To my eyes (and ears) the guys are really enjoying themselves and are on top form tonight. 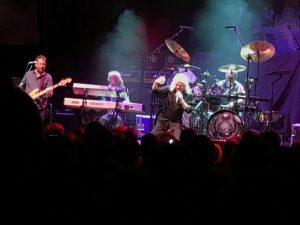 Just when you thought things couldn’t get any better the band launched into a rocking version of the classic Vigilante (from the album of the same name) and it gets the audience bouncing even more, as soon as the highly recognisable riff begins they are off. Just like Bob actually, he is really on it tonight, his voice and presence commanding the stage and hall, everyone in the crowd are in the zone and enjoying every note. The mountain crushing rhythm section of Lee and Al go into overdrive on this song and you can feel it right in your solar plexus, I’m singing along to the chorus as if I was 19 again! Too soon it is time for the show to come to an end but Magnum go out with a bang with one of my favourite tracks of theirs. ‘Wings of Heaven’ was the band’s biggest album, released in the late 1980’s and spawned a few hit songs but it also contained the lengthy Don’t Wake The Lion (Too Old To Die Young), ten minutes of almost progressive tinged hard rock and we are treated to a superb version this night. Bob prowls the stage like the leader of the pride and the crowd are in rapt attention as Rick delivers the slow burning keyboard section. 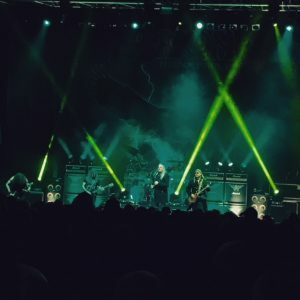 You can feel the tension rising in the hall as the music plays, Bob’s vocal building up to the compelling chorus and the crowd finally bursts out along with Bob to sing, “Too old to die young, too big to cry, too old to die young, say goodbye…”. 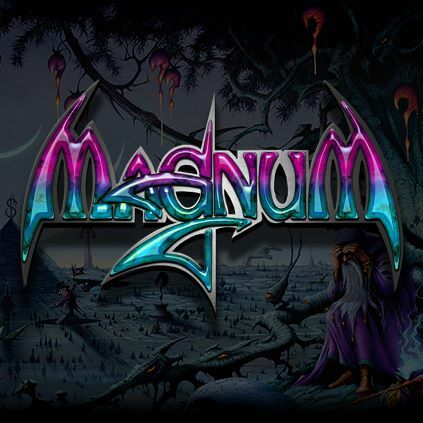 I went along with some friends who didn’t really know much about Magnum and they were absolutely blown away, especially by this track and it surely took me back many a decade but that’s what music does, isn’t it? When a night is as good as this, it’s always a shame for it to come to a close but the guys finished to rapturous applause, cheers and whistles and a see of happy faces. A fantastic evening of music and a wonderful performance from one of my favourite bands, music, for me, is fantastic and life affirming and live, like tonight, it just doesn’t get any better. 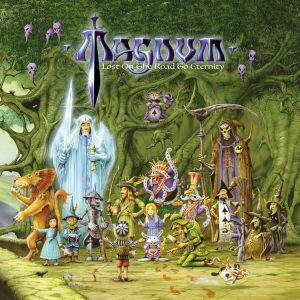 The release of their latest album ‘Lost On The Road To Eternity’ sees British hard rock band Magnum celebrate a very special anniversary on 19 January 2018. It will be the 20th studio recording by the group surrounding founder members Bob Catley (vocals) and Tony Clarkin (guitar) since their 1978 debut ‘Kingdom Of Madness’. 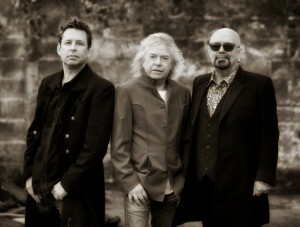 At the same time, Clarkin, Catley and bassist Al Barrow are set to introduce their current line-up featuring new additions Rick Benton (keyboards) and Lee Morris (drums). Benton joined the Magnum camp in December 2016 to replace long-standing member Mark Stanway, while Morris took over from Harry James only a few months ago. ‘Lost On The Road To Eternity’ contains eleven new songs, among them the first single release Without Love and a duet by Catley and Tobias Sammet on the title track, a kind of artistic thank you by the Edguy /Avantasia frontman in appreciation of Catley’s guest stint on a number of Sammet’s releases. The release will once again be complemented by Rodney Matthews’s atmospheric cover artwork as well as a total of four live bonus tracks on the CD digipak version (´Sacred Blood – Divine Lies`, ´Crazy Old Mothers`, ´Your Dreams Won`t Die` & ´Twelve Men Wise And Just`) recorded at Magnum’s 2017 performance at the Leyendas Del Rock festival in Alicante, Spain. ‘Lost On The Road To Eternity’ has been scheduled for release by Steamhammer/SPV on 19 January 2018 as digipak version incl. bonus live disc, 2LP coloured version, download and stream. Should we look to the past for inspiration when it comes to music? The whole point of progression is to move forward surely? To a certain extent, I would agree but we all sometimes like to listen to an album from those sepia tinged days gone by, don’t we? Perhaps we use it as a point of reference, maybe it brings back great memories, I don’t know? Also, the flip side could be true, we might not have liked that music at the time but, as we have got older and matured, we now come to appreciate it more. 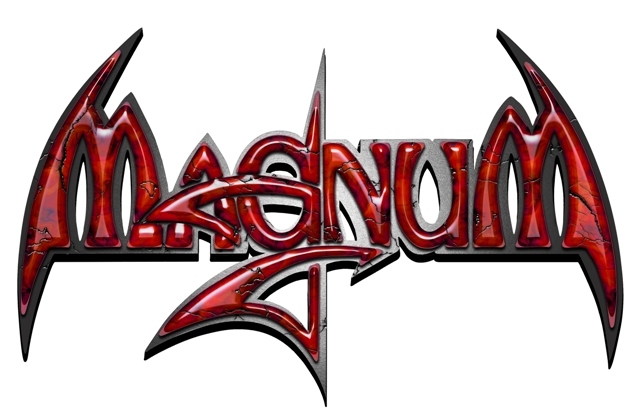 One of the bands I grew up with, and was a big fan of, was the British rockers Magnum. I always felt they had a bit of a progressive tinge to their music on tracks such as ‘On A Storyteller’s Night’, ‘How Far Jerusalem’, ‘Kingdom of Madness’ and the like. 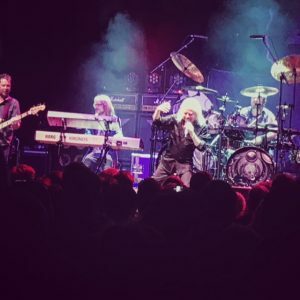 The core of the band has always been main songwriter and guitarist Tony Clarkin and vocalist Bob Catley, whose dulcet tones must be one of the most recognisable in rock. Their success peaked in the late 80’s and early 90’s with the albums ‘Vigilante’, ‘Wings of Heaven’ and ‘Good night L.A.’, records with more of a hard rock and metal approach. The band seemed to fade away, for me, after this until the release of ‘Princess Alice and the Broken Arrow’ in 2007, an excellent return to form and they have produced four classy albums since. 2015 sees the release of the latest chapter in Magnum’s long history, ‘Sacred Blood, Divine Lies’, delivered by the band’s now stable line up of Tony and Bob plus Mark Stanway (keyboards), Al Barrow (bass) and Harry James (Drums). Tony Clarkin started working on the resounding new album even before ‘Escape From The Shadow Garden’ crashed into the UK Album Chart at 38. Clarkin was inspired to write 25 new songs during and after the subsequent triumphant European tour, the most outstanding 13 of which were selected for ‘Sacred Blood, Divine Lies’. Title track and opener Sacred Blood, Divine Lies sets the tone for the rest of the album, a really good, dynamic rock track. The first riff on the record is pulsating and driving and the drums hold everything in place, giving the rest of the band free rein to really rock out. Bob Catley’s vocals are as good as ever, the catchy chorus showing that his forty years plus at the front of the band has not seen the power of his voice wane a jot. This is a real ‘in your face’ rocking track and one which you can’t help bouncing along to, the ‘air guitar’ even came out for a dust off on Tony’s scorching solo. An impressive start to the album indeed, Tony goes as far as saying he thinks it will join the ranks of the great Magnum classics! The thundering riffs continue on Crazy Old Mothers but not before a more gentle piano led introduction. A slower paced track with a heartfelt vocal performance on the verse, the chorus drives on like a marching force and the whole track has a nostalgic feel. Mark Stanway’s piano playing gives a softer feel on the elegant verse but then Tony’s guitar hits you with a staccato riff on the chorus, all powered along by the superb rhythm section of Al and Harry. This couldn’t be anything other than a Magnum track with Bob’s trademark vocal key. Another great, if short, solo from Mr Clarkin and things are complete. Tony Clarkin wrote Gypsey Queen after being inspired by a concert in St. Petersburg, a city which deeply impressed him with its unique atmosphere. This anthemic masterpiece begins with a mellow and laid back synth led intro, Bob’s vocal taking on a pleading tone before the drums kick in and the riff hoves into view, powerful and direct. The chorus is forceful and charismatic with a real addictive note and I’m hooked, a superb song gets better with another blistering solo from Tony’s guitar. One thing I’m noticing is their seems to be a real plethora of fiery guitar highlights building up as we move further into the album. An absolutely belting song and one that I am finding really hard to get out of my head but, when it is this good, why bother? Princess In Rags (the Cult) is another fast paced rocker that gets you up on your toes with its infectious riffing and energetic drums. The pulsating, edgy verses are highlighted by some great keyboards and then it opens up and flies off with the lively chorus, another welcome Magnum hallmark. This breathless song really does move at an electric pace as if it can’t be held back and the fluid solo is just as intense, a really full-on and red-blooded musical experience. Now onto the first ballad-like track on the album, Ballads are another thing that Magnum excel at and Your Dreams Won’t Die is no exception. “To me, the title and lyrics have an almost religious depth,” says Clarkin of the song. “There’s a saying that somebody is not forgotten if their name is remembered.” The intro is slow and measured, lulling into a relaxed mood. Bob’s vocals begin emotive and sincere and the strings in the background give everything that poignant feel. The chorus is stylish and memorable and really moves you in only the way that a Magnum ballad can and, let’s be honest, who doesn’t like a really good rock ballad? A resounding riff-heavy introduction sets up Afraid of the Night, a song with really dramatic, almost operatic feel to it on the verse. A slow burning chorus opens into something really vivid and elemental. This track dances across your mind like a musical storyline, a clever and inventive track but one that doesn’t lose the power and dynamism of a proper rock epic. A Forgotten Conversation has a subtle and understated introduction with Bob’s hushed vocals the highlight. The tone changes with the persistent drums, commanding guitar riff and stentorian vocals on the chorus and the interplay between the lighter verse and potent chorus works exceedingly well. Tony delivers one more trademark solo that really gets under your skin, another hard rocking addition to the album. The pulsating introduction to Quiet Rhapsody sets you up for the pounding riff that hits you like a ten ton weight, possibly the most assertive on the album. It spurs the track on with bulldozing force as each striking of the drum knocks you back in your seat. The chorus softens this slightly but only just, Bob’s voice has a forcible tone to it and you just get caught up in the irresistible force, one that is emphasised by yet one more superb solo. Another elegant introduction opens Twelve Men Wise And Just, a haunting piano note adding to Bob’s great vocals before everything kicks off big style as the blue touch paper is lit. The pace increases tenfold and the energy and dynamism go off the scale. A track reminiscent of the great Magnum releases of the late 80’s, it wouldn’t have been out of place on ‘Wings of Heaven’. The whole song is captivating and addictive and I just found myself tapping my foot and singing along. A nicely judged harmonised section lets you get your breath back before the headlong rush begins again, another classic in the making. So to the final track on the album, Even Tony Clarkin was surprised by Don’t Cry Baby from the start, “Although I initially didn’t have a lyric, the melody kept going through my head, as well as the chorus with acoustic and e-guitars plus piano. We even kept the drums from the demo version because our drummer Harry James liked them so much. He said: “I love it the way it is. We shouldn’t change a thing about it”.” A really gracious track that begins with a warm and rounded vocal and rhythm section before the tempo increases and the vocals take on an unfeigned sincerity and passion that bleeds into the general feeling of the song. There is a superb piano section that makes the hairs on the nape of your neck stand up and you feel a little melancholy note rise in the vocals. Tony throws in some delicate, yet intense, guitar work and the song fades out to a close. This is the sound of a band back at the peak of their powers, confident in their own ability. 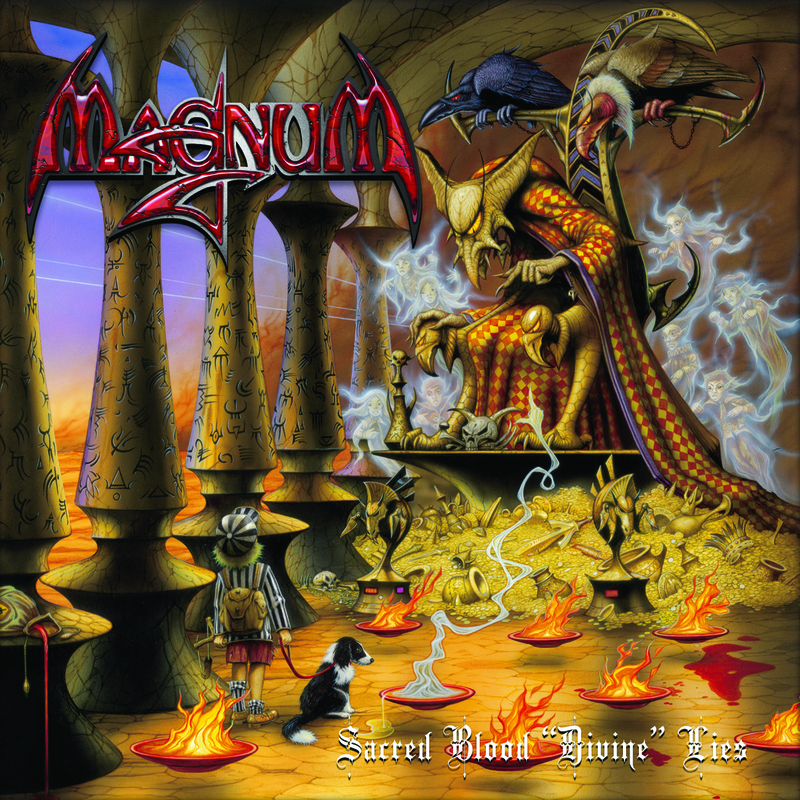 ‘Sacred Blood, Divine Lies’ takes me back to a time when Magnum were at the height of their popularity and should be a must for any fan of the band. Superb from start to finish, I take it Mr Clarkin has already started the next album and I, for one, can’t wait! 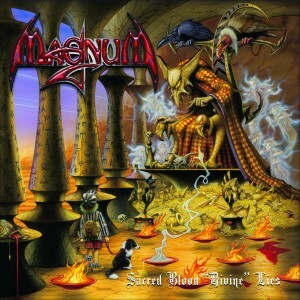 Mighty British melodic hard rock group Magnum are set to release their magnificent new studio album ‘Sacred Blood “Divine” Lies’, on Steamhammer / SPV on February 26th, as a limited edition DigiPak CD (with bonus DVD), standard Jewel Case CD, double gatefold vinyl with printed inner sleeves + CD (in paper sleeve), and download. Magnum mastermind Tony Clarkin started working on the resounding new album even before ‘Escape From The Shadow Garden’ crashed into the UK Album Chart at 38, (the band’s first top 40 album chart position for over 20 years), on release in March 2014. 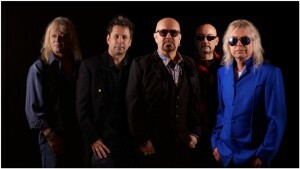 Clarkin was inspired to write 25 new songs during and after the subsequent triumphant European tour, the most outstanding 13 of which were selected for ‘Sacred Blood “Divine” Lies’. 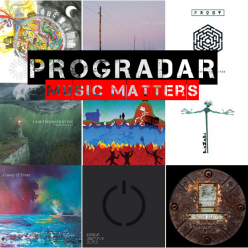 Ten of the numbers made it onto the standard album CD and another three onto the DigiPak bonus DVD, which also contains videos for three of the brand new songs on the album. The epicentre of this soundquake features, along with frontman Bob Catley’s charismatic voice, Clarkin’s awesome riffing and hard driving lead guitar licks, which provide the all-important substructure to each of the ten gems of songs on the album. 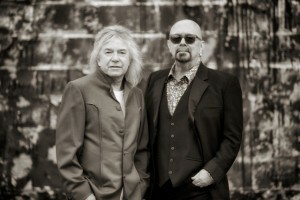 Nowhere is this more evident than on the title track and album opener; “I feel that Bob delivered it really well,” Clarkin praises his vocalist Bob Catley. “As far as I am concerned, ‘Sacred Blood “Divine” Lies’ is definitely likely to join the ranks of great Magnum classics.” So it comes as no surprise that ‘Sacred Blood “Divine” Lies’, with its significant message, became the album title. Among the other multiple highlights on this thoroughly powerful recording, mention must be made of the anthemic ‘Gypsy Queen’, which Tony was inspired to write after a concert in St. Petersburg, a city which deeply impressed him with its unique atmosphere. ‘Sacred Blood “Divine” Lies’, the cover of which has once again been designed by renowned fantasy artist Rodney Matthews (Nazareth, Asia), is a stupendous record, packed with soon-to-be-proclaimed-classic, majestic hard rock compositions.